A British hostage who was captured by the Islamic State group more than six years ago is thought to still be alive, the UK's security minister has said. Mr Cantlie was forced by Isil to front a series of propaganda videos where he spoke in English to the camera. Security Minister Ben Wallace told journalists that officials think Cantlie is being held by Islamic State operatives, but he did not reveal what intelligence information supported the government's belief the British photojournalist still is alive. 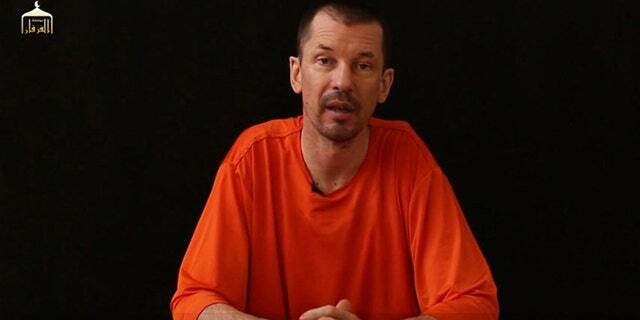 Cantlie appeared in a series of ISIS propaganda films called "Lend Me Your Ears" dressed in an orange prison uniform condemning the U.S. and British governments. Numerous sightings have since been reported, but Tuesday's announcement by Wallace marks the first public statement by the British government. "Paul died not knowing whether John's captors had received any of the messages he had sent to them", the Cantlie family said at the time. Last October, Paris Match quoted an ISIS fighter who said he saw the journalist "seven or eight months ago" while in prison. Cantlie was captured first in July 2012 but escaped with help from the Free Syrian Army. Cantlie, an experienced war photographer, was covering the Syrian conflict when he was kidnapped in 2012 and eventually transferred to ISIS. Asked about British hostages around the world, Wallace said the United Kingdom does not pay ransom and discourages other countries from doing so.